Syrian rebels unite for the purpose of launching a new “revolution” against the jihadist Islamic State of Iraq and the Levant. Syrian rebels have united for the purpose of launching a new “revolution” against an Al-Qaeda affiliate they accuse of worse abuses than the hated President Bashar Al-Assad, activists told AFP on Saturday. Three powerful rebel alliances have taken on fighters of the Islamic State of Iraq and the Levant (ISIL) during two days of fierce combat in Aleppo and Idlib provinces that Syria's main opposition National Coalition said it "fully supports," according to the news agency. 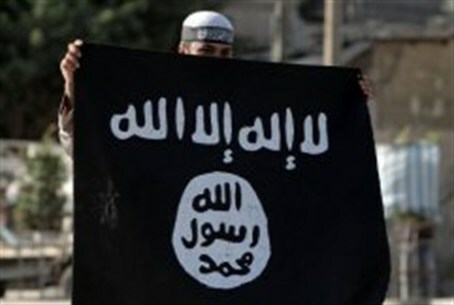 ISIL is one of several jihadist rebel groups operating in Syria and which at one point split off from the Western-backed Syrian National Council opposition force, declaring Aleppo to be an independent Islamist state. Since that time, a second civil war has begun in war-ravaged Syria and now, in addition to fighting the Syrian army, the more moderate rebel groups and the Islamist extremist groups are also fighting each other. In addition to its involvement in the Syrian war, ISIL seized the city of Fallujah in neighboring Iraq on Saturday, and claimed a suicide bomb attack in a Beirut stronghold of Hezbollah, the movement fighting alongside Assad's forces. "At least 36 members and supporters of the Islamic State of Iraq and the Levant have been killed since Friday in Idlib and more than 100 have been captured by rebels" in Idlib and Aleppo, said the Syrian Observatory for Human Rights. The reports come a second day into clashes in opposition areas of the northern and northwestern provinces between ISIL and rebel alliances, which include the massive Islamic Front and the Syrian Revolutionaries Front. Jihadists who flocked to Syria to join the rebels in their fight against Assad were at first welcomed by the armed opposition. Relations grew bitter after ISIL fought other opposition groups for control and committed systematic abuses against activists and rival rebels, as well as ordinary citizens. Last week, the Western-backed Syrian National Coalition (SNC) accused the group of having ties to the Syrian regime, after ISIL fighters killed an opposition doctor in northern Syria. In the past 48 hours, reported AFP, anti-Assad activists have described the escalation against ISIL as a new "revolution" in Syria, given ISIL's increasing number of kidnappings and beheadings and other abuses. Rival rebels have "seized checkpoints, bases and weapons from ISIL" in Aleppo and Idlib, said the Observatory. The group has established a reign of terror in areas it controls. It has forced girls to wear the veil to school, and lashed and executed people - including children - on accusations of heresy. Some Islamist groups in Syria have attempted to soften their image in an attempt to win hearts and minds - holding stand up comedy shows and handing out toys to local children.